Furthermore, most of the caulks used today will eventually become hard or will lose their bond. Regardless of what is printed on the tube, the useful life of most caulks is less than 5 years. 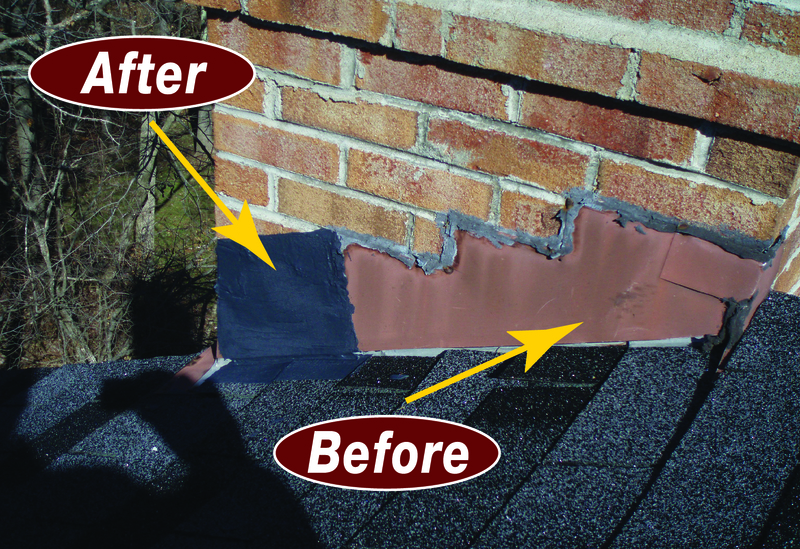 WeatherTite Industries has developed a simple solution for a simple repair. FlashTite Coating is a proprietary blend of latexes and acrylics. Once cured, This elastomeric coating will remain flexible . FlashTite will never become brittle and crack like tar based products. FlashTite can also be used in combination with our 6 inch fiber mesh for areas that experience contraction and expansion. FlashTite will bond to any surface that paint will bond to. These include masonry, asphalt or slate shingles, metal and wood. So the next time you are in need of a simple repair, don’t let Somebody turn it into a major headache.